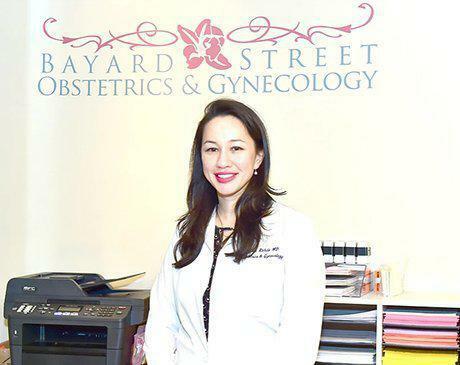 Dr. Erin Rohde, MD offers comprehensive obstetrical and gynecological services in a personal and comfortable practice at Bayard Street Obstetrics & Gynecology. She combines holistic and evidence-based medicine solutions with cutting-edge ultrasound and laparoscopic technologies to ensure the best results for women in the lower Manhattan area of NYC. Dr. Rohde provides numerous specialties including Cesarean sections, spontaneous deliveries, tubal ligation, and laparoscopy. Originally from Berkley, CA, Dr. Rohde completed her training at Weill Cornell Medical School and later completed her residency and chief residency in obstetrics and gynecology at New York Downtown Hospital. She is a member of both the American College of Obstetricians and Gynecologists (ACOG) and the Golden Key International Honour Society. Dr. Rohde is fluent in both English and Chinese and enjoys frequent exercise, cooking healthy food, reading, and spending time with her pets. Affiliated New York Presbyterian Hospital Lower Manhattan, she is currently accepting new patients. Call to schedule an appointment.